New Replace A1664 Battery For Apple iPad Pro 9.7'' A1673 A1674 A1675 7306mAh Product Description B..
New Original OEM 3.81V 1821mAh Li-ion Replacement Battery for Apple iPhone 8 R.. Product Description: ****The picture is showing the front and the back of one battery , it'..
Apple iPhone X Battery 3.81v 2716mAh SKU: M1048006N The picture is one battery (front and th..
iPad Pro 10.5 A1798 Battery 3.77v 8134mAh iPad Pro A1701 A1709 A1852 .. Specifications: 1. 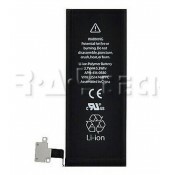 Battery Type: Li-ion Battery 2. Dimensions: (7.95 x 6.65 x 0.12)" / (20..